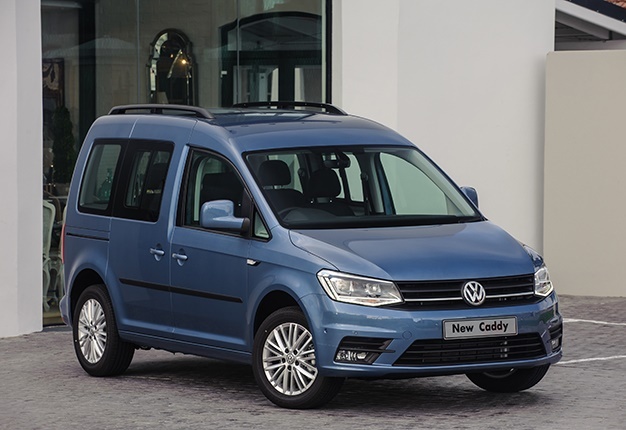 The second best-selling model in Volkswagen Commercial Vehicles’ range, the Caddy, combines space efficiency with sleek Volkswagen design and affordable running costs. Currently in its fourth generation, the Caddy has become the preferred choice for private buyers and fleet operators since introduction in South Africa in 2015. Commenting on the reason behind introducing the petrol model, Mark Handley, Head of Sales and Marketing at Volkswagen Commercial Vehicles said: ‘"At R306 300, the 1.0 TSI Trendline Caddy offers exceptional value for our potential customers. Our aim is to increase the market share and positioning of the Caddy Trendline range." It incorporates a host of additional features and a wider range of standard and optional equipment. This new Caddy Trendline adds standard features such as 'Composition Media' radio with touchscreen, 16" ‘Bendigo’ alloy wheels, heated rear window, electrically adjustable and heated exterior mirrors, climatic air conditioning system, electric windows, leather steering wheel, height adjustable front seats, multi-function display, roof rails in black, under-seat storage, front fog lights with static cornering light and daytime running lights. It has a power output of 75kW paired with a five-speed manual gearbox. It uses 5.6-litres of fuel per 100km. This three-cylinder normally aspirated engine delivers its maximum torque of 175Nm from 1 500rpm up to 3 500rpm.